For someone who has been a television writer/producer since 1987 and a radio journalist before that I am awfully slack when it comes to doing any writing out of hours. Perhaps it�s like the carpenter�s cabinets or the mechanic�s car. I don�t know. So I thought I should at least introduce myself in some way. I was a teenager in the 70s and that�s probably why I prefer that music over anything I have heard since. I still listen to popular music radio and the occasional hits shows but I really hate songs with sparse lyrics that are repeated over and over and over. As I have grown older I have explored different 70s artists rather than listen to more recent stuff that was probably only meant for chemically sedated hormone driven hedonists looking for love in dance clubs. I have always loved photography and started with film cameras. My parents bought me a really cool rangefinder model in my teens. Unfortunately it was destroyed by seawater on its first major outing when we were engulfed by a freak wave on what we thought was a high and safe cliff top along Australia�s Great Ocean Road. Later came a Pentax K1000 and an ME Super and the love affair with photography really began. I still have the ME Super along with all the lenses and accessories I could afford back then. I should take it out more often. 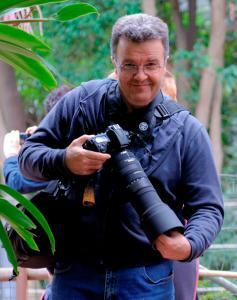 Instead I mainly use my Nikon D800 and some very nice prime lenses. My other glass enjoys the vibration of electromagnetic radiation only on special occasions. I recently bought a Fujifilm mirrorless camera and I am enjoying playing with that too but it doesn�t give me the refined fingertip control of my images like the D800 so it really is just for fun. The funny thing is despite having cameras packed with the latest and greatest technical trickery I am returning to my roots in the way I am shooting, going pretty much all manual (unless I risk losing a fast changing shot because I am not quick enough). It seems strange to spend thousands on equipment and then switch off some of its most up-to-date features, but I think photography is more about my eyes and my brain than it is about auto-exposure, auto-focus, auto-white balance, or image stabilisation. Those features rely on clever algorithms or physics derived by averaging simulations of popular situations. In other words: compromises based on educated guesses. Don�t get me wrong, I admire the brainiacs who came up with that technical wizardry so almost anyone can get an acceptable image in just about any situation. But, I am the only person on earth that knows what interests me about the scene before me. Therefore I am the best person to adjust a light recording device to approximate that individual viewpoint and experience of being there, highlighting the parts that motivated me to capture it in the first place. Then I can enhance that in post processing, or at least correct any errors. If I switch to Auto I am just getting a generic light recording of something that I just happen to frame. The photographic journey is endless and I do enjoy the process of learning and improving. That is leading me on a path that includes simpler methods and perhaps less sophisticated equipment. Despite my involvement with television program making I rarely shoot video unless someone else wants me to. I must admit enjoying those odd occasions, but anything more seems like work and doesn�t match the pleasure I get from capturing single moments. I place a very high value on family and friends and that is why I walked out of a well paid senior role in one of Australia�s most successful TV newsrooms in another state to return to the tenuous economic and career prospects in my hometown. I had some compelling reasons: ageing parents, children I didn�t see enough, heart tugging phone messages from a granddaughter who missed me, and a distance growing between me and some of my friends. I had to make a drastic change to correct my out-of-kilter world. I am still adjusting my lifestyle to align more with my priorities but I see myself traveling frequently to find the images I want to present here. I have been studying at The Arcanum, Magical Academy of Artistic Mastery to improve my photographic and business management skills. The mentoring by renowned photographic masters provides an invaluable learning experience. I haven�t totally closed the door on television but other opportunities are presenting themselves and I have been taking a rare opportunity to re-order my life according to my current priorities rather than being limited by decisions made decades ago under vastly different circumstance and with less life experience. I am finally doing what I should be, and that�s what counts most to me.